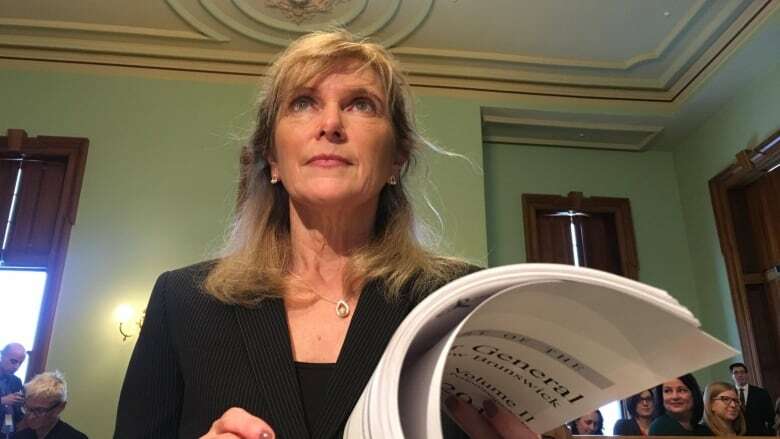 New Brunswick Auditor General Kim MacPherson says she is thankful for the budget increase and plans to put it to use as soon as possible. New Brunswick's auditor general's office is one step closer to being on a funding par with its Atlantic counterparts. The provincial budget released Tuesday included a $1 million increase to the budget of the office of the auditor general. Auditor general Kim MacPherson said she was pleased and thankful. "We're going to put it to very good use as soon as possible." MacPherson said her office has been chronically underfunded when compared with Nova Scotia and Newfoundland. In June, MacPherson said lack of funding was inhibiting her office's ability to fulfil its mandate. In his budget speech, Finance Minister Ernie Steeves agreed the auditor general's office has been underfunded for too long. "By increasing funding, our government is providing the auditor general with the resources needed to protect the interest of taxpayers, and to hold government to account," Steeves said. The increase brings the office's budget up to $3.3 million. The budgets for the same offices in Nova Scotia and Newfoundland are about $4 million, MacPherson said. She said her office will use the money to increase the performance-audit portion of its mandate and will soon be recruiting more auditors. "We're getting to what we could consider to be right-sized and on par with our colleagues in Atlantic Canada," MacPherson said. MacPherson has one more budget round left in her term as auditor general and said she will probably request another funding increase to bring New Brunswick to the same level as other Atlantic provinces. "But for today, I'm very pleased with the $1 million increase," she said. "We're going to put it to very good use to doing more work like we have done in the past." The Canadian Taxpayers Federation said it was disappointed there weren't more spending reductions in the provincial budget, but the increase for the auditor general's office is spending taxpayers can be happy about. "Increasing the budget for the auditor general is actually an investment in accountability, holding the government to account," said Paige MacPherson, the federation's Atlantic director.